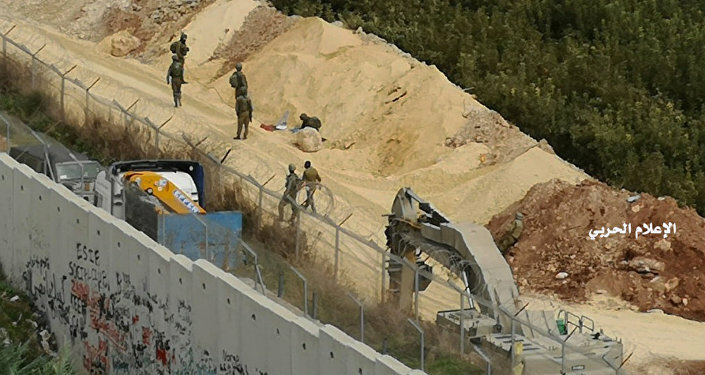 NEW YORK/TEL AVIV (Sputnik) – Israeli Prime Minister Benjamin Netanyahu on Wednesday urged UN Secretary-General Antonio Guterres to slam Lebanon-based Hezbollah militant movement for digging transboundary tunnels leading to Israel and tighten sanctions against the group. “Prime Minister Netanyahu updated UNSG Guterres on the details of Operation Northern Shield and said that he expects the UN to strongly condemn the violation of Israel's sovereignty … The Prime Minister also told the UN Sec.-Gen. that the international community must join in the demand to impose increased sanctions on Hezbollah in the wake of the events,” the statement read. In the phone talks with Guterres, Netanyahu also blamed Iran for its alleged support to the militant movement that resulted in the violation of the UN Security Resolution 1701, according to the statement. UN Spokesman Stephane Dujarric said in a statement on Wednesday that Antonio Guterres condemns Hezbollah's alleged construction of cross-border tunnels into Israel. "From the Secretary-General’s point of view, the building of tunnels from one country to another for military purposes is wholly unacceptable," the spokesman said. Dujarric noted that the United Nations Interim Force in Lebanon (UNIFIL) will send a technical team to the Lebanese-Israeli border on Thursday to investigate the allegations. UNIFIL has called for full access to all locations across the Blue Line, or the UN-demarcated Israeli-Lebanese border, Dujarric added. On Tuesday, the Israel Defense Forces (IDF) announced the launch an open-ended military operation dubbed "Northern Shield" to find and destroy cross-border tunnels that the Jewish state says Lebanon's Hezbollah movement built to transport its militants into Israel in any potential future conflict. Lebanese officials have denied the allegations in comments carried on the country's state-run National News Agency (NNA). Lebanese Parliament Speaker Nabih Berri earlier on Wednesday said Israel provided no evidence to prove its claims, which he dismissed as false, the NNA reported. 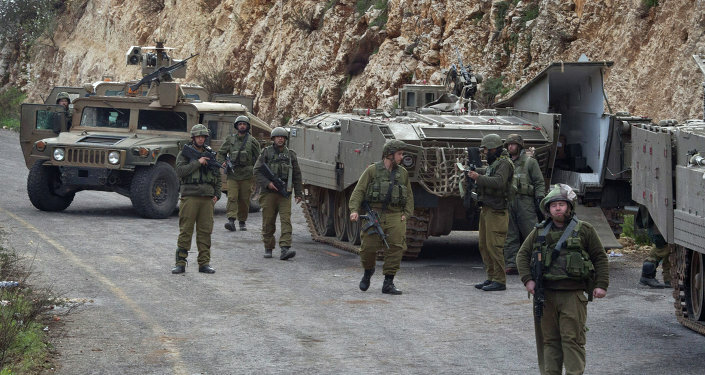 The Lebanese Army also issued a statement calling Israel's accusations "mere allegations," according to the NNA. Israel traditionally views Hezbollah’s presence in Lebanon and Syria as a threat to its national security as the movement is backed by Iran, which is Israel’s main rival in the region. The United Nations Interim Force in Lebanon (UNIFIL), which monitors the Blue Line, designated by the United Nations after Israel’s withdrawal from southern Lebanon in 2000, said on Tuesday that it had increased security patrols at the Lebanese-Israeli border to avoid potential escalation amid Israel's anti-tunnel efforts.